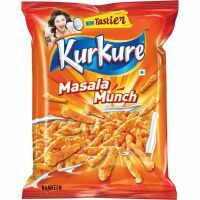 Extruded snacks may sound like too heavy a terminology for your regular Kurkure, Fun Stix, and so on, but it’s just a way to demarcate a category of snacks made by a different process – in this case, extrusion cooking. 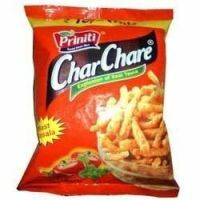 While this process offers scope for developing relatively healthy variants (with alternative flours and grains) and inventive shapes, standards for this category of snacks are yet to be established in India’s food safety regulations. The five brands we have tested are all proprietary foods, which means that there are no standards for these in the food regulations. Yet, there must be some benchmarks to abide by. For instance, a major safety criterion for readyto- eat extruded snacks is total bacterial count. As you will find in the report, not all the brands fulfil this safety aspect. 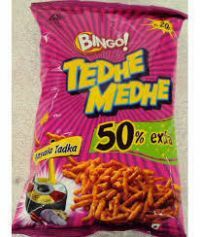 The Food Safety and Standards Regulations provide no standard for this product category, though the Indian Standards IS 12566:1989 under ‘ready-to-eat extruded snacks’ specification prescribes limits for various aspects such as fat content and bacterial count. These requirements are not mandatory for manufacturers and it may be noted that no ISI mark was found on the products we tested. As a matter of fact, all of the tested products exceeded the limit for fat content. Detection of peroxide value is evidence of rancidity in fat/oils. As per IS 12566: 1989, in ready-to-eat extruded snacks the peroxide value of extracted fat should not be more than 10 meq oxygen/kg fat. In the tests we conducted, the peroxide value of extracted fat was nil for all five brands, which means they are fine for consumption. You can see list of our CV Surveillance Series - Ready-to-Eat Extruded Snacks below, perform Side-by-Side comparison. If you need further help, do have a look at Conzumr Guides and Tips. Alternatively you can view all Ready-to-Eat Extruded Snacks to choose your own favourites. Ready-to-eat extruded snacks are made by a process known as extrusion cooking. Here, preconditioned raw food material is subjected to high-temperature short-time cooking which results in the material acquiring plastic consistency. This material is then extruded through specially tapered dies. As it emerges from the dies, it passes from a high-pressure zone to a low-pressure one and this results in puffing of the product. The cooked dough is cut to the desired size, after which it is dried to the desired moisture level. Finally, the product is coated with oil, flavours, salt, spices, sweetening agent, etc., and packed. These ingredients may also be added before extrusion. One of the advantages of extrusion cooking is versatility with regard to ingredients selection and the shapes and textures of products that can be produced. Total bacterial count is the amount of viable bacteria in a food product and serves as a key indicator of the product’s overall quality and safety. As per IS 12566:1989 specification for ready-to-eat extruded snacks, the total bacterial count should not be more than 50,000 cfu/gm. Therefore, a lower count is better. Fun Stix was found with the maximum total bacterial count at 109,091 cfu/gm. This is above the prescribed limit in the Indian Standards and hence the product is not suitable for consumption. The other brands were found within the prescribed limit and so are fit for consumption. Kurkure had the least total bacterial count at 1,273 cfu/gm. All brands were found to have more than 25 per cent fat. It is advisable to consume them within limits. 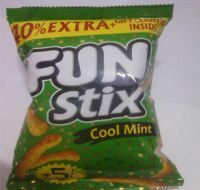 The maximum percentage of fat was found in Kurkure (33.07 gm/100 gm) and the minimum in Fun Stix (27.45 gm/100 gm). The product shall be packed in flexible thermoplastic films or multi-layer or mono-layer construction or their laminates with paper and/or aluminium foil so as to provide high resistance to the passage of oxygen and water vapour, and also to produce an effective heat seal. The sealing shall be done hermetically with or without nitrogen flushing to retain the contents in a fresh condition. All brands were packed in thermoplastic films with nitrogen flushing. Labelling as required. Kurkure : Labelling as required. To Recieve updates and possible rewards for Ready-to-Eat Extruded Snacks please sign in.